Ever had to sign documents quickly and return them to a sender? No matter the type of document that you're trying to sign, if you can avoid a printing, then sign, then scan, and send back workflow, it's always appreciated. Mac OS X's Preview application has long allowed for digital signatures, but in Yosemite you can sign documents using the trackpad, too. Step 1: Open PDF that you wish to sign in the Preview App. Step 4: Chose the Sign button in the tool bar that appears, then click "Create Signature"
Step 5: In the Signature popup that appears, choose the Trackpad option , and click the "Click here to begin" button. Once in this mode, sign you name using your finger on the trackpad. When you are done with your signature, press any key on the keyboard to exit editing mode, and then press the Done button in the popup to save the signature in Preview. You can also get a signature without the trackpad. To do so, follow the same steps as above, but choose the Camera option in step 5. Create a physical signature using black ink on a white piece of paper (for best results), then hold this signature up to the iSight camera on your Mac. Step 2: Click Show Markup Toolbar (Command + Shift + A ). Step 3: Choose the Sign button, then click on one of the saved signatures that appears in the list. Once you do this, you'll see the signature inserted into the document. You can then resize and move the signature around on the PDF to make it look just right and fit over the signature area of the document you're signing. Don't forget you need to save the signature inside of the document using Command + S (or get advanced save options by pressing Option + Command + Shift + S to open the Save As... panel). Apple is adding new gestures to the Mac that lets you do things like jiggle you mouse cursor to make it larger. The idea being able to jiggle our mouse to find our cursor, so making it temporarily larger will make it easier to find. I can see myself liking that now that I’m over 40. El Capitan includes improvements for running apps in full screen mode, and also offers a split view for working with two app windows in full screen mode at the same time. Safari can now “Pin” sites in the toolbar, kind of like little bookmarks, by just dragging them to the left. You can even see what tabs have audio playing in the background and mute them from within Safari. Spotlight in El Capitan will dig deep into not just the computer but into the web. You can even type out a though for searching, as an example, “show me pictures from June last year when I was in Indianapolis” and it finds it! While there was no exact release date, there will be a free upgrade coming this fall. No announcement telling us what Macs will support the software. Hello Mac Users, MacExperience wants to keep everyone informed and updated on the latest Mac OS Security issues. Macs aren’t immune to malware. 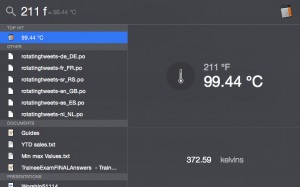 Recently, there have been many issues of Malware infecting Mac computers like Genieo. Additionally, a new Mac Malware called Mac.Backdoor.iWorm is making rounds infecting Mac computers to be used as Botnets. Therefore, MacExperience recommends some steps you can take to improve your security on Mac computers. Here are some easy ways you can improve your Mac security. 1. Keep your OS X software updated with the latest patches and OS software updates. 2. Set GateKeeper to only run digitally signed apps from the Mac App Store. This setting is in System preferences under Security and Privacy. 3. Run anti-virus/anti-malware software on your Macs. Mac computers have become very popular. As a result, more malicious code is being written to take advantage of unprotected computers. Allow only necessary admin accounts to install and modify system settings. Don’t share administrator names and passwords. Log out when you leave your Mac so unauthorized people don’t use your Mac with administrator privileges. Require a password to wake your Mac from sleep or screen saver. For more information on Mac Security solutions for home or your business. 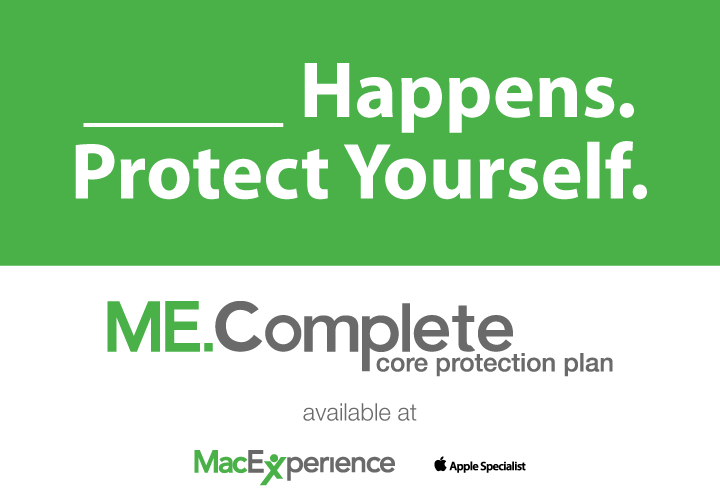 MacExperience offers solutions to protect your personal or business assets. Also in the news was the known security issue regarding the Bash exploit. The OS X bash update can be found directly at Apple.com. *** UPDATE: Oct. 7th *** Apple has added the new iWorm definitions to detect this malware. You can assign an app to a specific desktop in Mission Control—perfect for keeping your programs in their proper “spaces,” particularly when you’re booting up your Mac. Before we begin, something to keep in mind: this trick applies only to apps running in standard “windowed” mode. Programs running in “full screen” automatically get assigned to their own desktops. ▪ First, navigate to the desktop where you’d like a particular program to call home. If, for example, you want Calendar to sit in Desktop 2, launch Mission Control, then click on Desktop 2 from the overhead Mission Control view (or create a second desktop if there isn’t one already). ▪ Launch the app you want to assign to the desktop—again, let’s use Calendar as our example. ▪ Go down to the Mac desktop dock at the bottom of the screen, find the icon for Calendar, and right-click it. ▪ In the menu that appears, select Options, then select “This Desktop” under the “Assign to” heading. Now, let’s test. Go ahead and close the app you just assigned to a desktop, navigate to Desktop 1 in Mission Control, then launch the app again—and when you do, it should launch in the desktop you assigned it to. Also, if the app you’ve pinned to a desktop opens automatically when you start up your Mac, the app will now launch in its assigned window. Did you know that there’s more than one desktop on your Mac? Yep, it’s true, you can pretty much have as many desktops as you want, each filled with its own assortment of open documents and applications. Most of us are used to having a single desktop on our systems—you know, the one that’s directly in front of us. The idea of have more, “virtual” desktop spaces with open windows that you can’t see can take a little getting used to. Once you get the hang of it, these additional desktop spaces—which you manage in Mac OS X with a new feature, dubbed “Mission Control”—can become addicting, even essential. Let’s take a quick tour of the desktop spaces in “Mission Control”—and keep in mind that older versions of the Mac operating system also have the “spaces” feature, which you can manage in the System Preferences panel under the Apple menu. 1. First, activate Mission Control by clicking its icon in the Mac OS “Dock,” or swiping up with three fingertips on your MacBook trackpad. You can also turn Mission Control on by hitting the F3 key on your keyboard. 2. Now, you’ll see an overhead view of all your open applications, windows, and spaces. On your desktop, you may have five applications open—Mail, iPhoto, iCal, iTunes, and Safari, not to mention a total of three Safari open windows at once. Things may start to get a little crowded. 3. Time to spread out a little bit. Activate Mission Control again, click and hold the app window you want to move to a different “desktop”, and then drag it up and over to the upper-right corner of the screen—where all of a sudden, a new “space” with a big “+” sign appears. 4. Drop the app into your new space, and presto! Now you have another desktop with just the one application open. To visit your new space, just activate Mission Control and click the Desktop icon, which immediately zooms in and fills your screen. 5. Now go ahead repeat with more open applications. To switch between your desktops, open Mission Control and click the desktop space you want to jump to. You can also scroll though them one-by-one with a sideways three-finger swipe on your trackpad, or by tapping a left or right arrow key on the keyboard while holding down the Control key. 6. Want to clean up your spaces? Activate Mission Control, then hold your mouse over the space you want to close until a circle with an “x” appears on its corner. Click the “x,” and the space will disappear, with any open windows safely sliding over to one of your remaining spaces (so don’t worry, you won’t lose any work). When you copy text from some applications, and especially from the web, you tend to copy its formatting, such as the text size, font choice and so on. When you then paste this into other text fields, like in an email, it looks funky or out of place, and can make things hard to read. To paste the text without its original formatting (so it formats in the same way as the rest of what you're pasting into), instead of pressing Command (⌘) +V, press Option+Shift+Command (⌘) +V. Did you know that you can switch between apps with a key command. Command (⌘) + Tab then release allows the user to switch to the previously used application. If you are doing research between two applications this simple step is great. This interface is more flexible than it seems at first. For instance, if you bring the App Switcher up and hover your cursor over an icon then release “Command (⌘)”, it will go to the application you highlighted. Also, when you have an application highlighted, you can do a few other things: press Q to quit an app instantly; press H to hide an app from view; or press the up or down arrows to see the highlighted app’s open windows in Mission Control. One last thing that I find helpful with the App Switcher is that you can scroll back and forth to choose the app you want with your left pinky. Command (⌘) + Tab goes left to right and Command (⌘) + Tilde ( ~ ) will go right to left once the App Switcher is activated. We all know we aren’t supposed to text and drive. Reason being, people take their eyes off of the road for 5 seconds at 60 miles and hour and you’ve just driven 1 1/2 football fields. So we’ve use Siri to read the text to us and to dictate a text back without ever taking our eyes off the road. But what about when your on the computer and you just want to get your thoughts out, but your fingers can keep up. Did you know that your Mac OS 10.9 has enhanced dictation? That right, talk to your computer and let it do the typing for you. If this is something you would like to use, we recommend downloading the 800MB option, which moves the voice recognition to you local computer without the need of an internet connection, making it must faster and more reliable. Enough of the mumbo jumbo. Let’s turn this on so that we can use it already. Setup. Go to the Apple menu > System Preferences > Dictation & Speech. Turn on Dictation then check the box for “Use Enhanced Dictation”. Once it has downloaded you are ready to rock-n-roll. How to Use. This is difficult so pay attention. Place your curser where you want to insert your text. Then press the function key (fn) twice. Speak. Press the function key (fn) again (but only once) to end. OK, maybe it wasn’t that hard. You can use words like “period” “exclamation mark” and “new paragraph”. If there is a question about the dictation, it will be underlined in purple. Right click the purple underlined words to see other things dictation thinks you might have said. Yosemite, the next OS X along with iOS 8 coming this fall will have a great feature, that I look forward to. Answering my iPhone on my Mac. “When your iPhone rings, you’ll get a notification on your Mac showing you the caller’s name, number, and profile picture". When clime the notification to answer, your Mace suddenly becomes a speakerphone. But it doesn’t end there, you can also dial out by clicking a phone number see in Contacts, Calendar, Messages, or Safari. 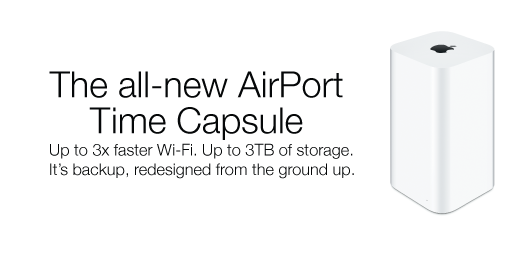 Simply make sure that your iPhone and Mac are on the same Wi-Fi network. How about sending text messages and not just iMessage? Yosemite and and iPhone running iOS 8 have you covered. You will be able to send and receive SMS and MMS text message from you Mac. I love that I can send iMessages to my family and friends from my Mac, but now, forget about it, I’m in love. My friends in the “green bubbles” will now have the same privilege as those in the “blue bubbles”, all from my Mac. Apple is also introducing Handoff. If your devices are near each other, they can automatically pass whatever you’re doing from one to another. Example: You are writing an email on you Mac but your wife is wanting to leave right now. Switch to your phone and continue the message without losing your place, get the car (passenger seat because you don’t want to type an email and drive at the same time), and go. According to Apple “Handoff works with Mail, Safari, Pages, Numbers, Keynote, Maps, Messages, Reminders, Calendar, and Contacts. And app developers can easily build Handoff into their apps”. So me may see more uses of Handoff in the future. We could go on and on telling you about how great this video is. But we just want you to watch it. The computer for the rest of us.